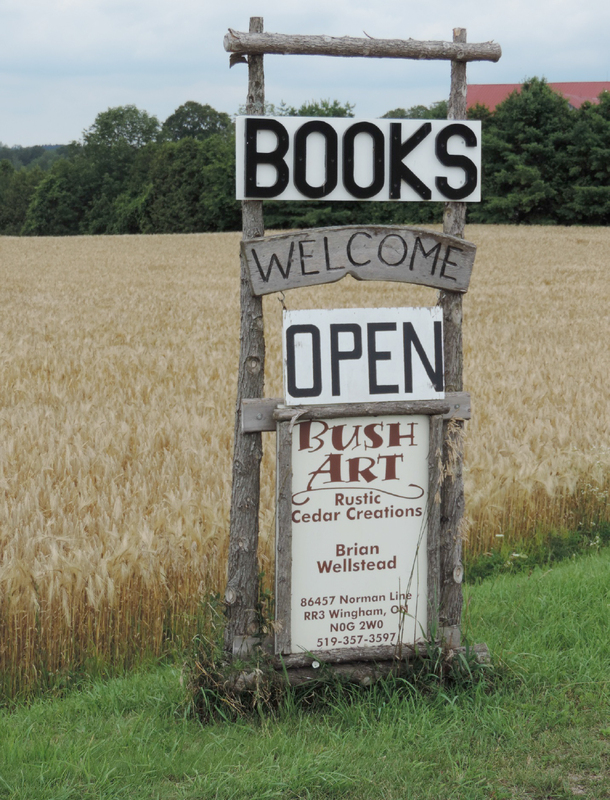 Earlier this week, I ventured out to 86457 Norman Line just west of Wingham to check out Huron County’s largest book store, and Bush Art: Rustic Cedar Creations. This is also the location for the home and welding business of Brian Wellstead. 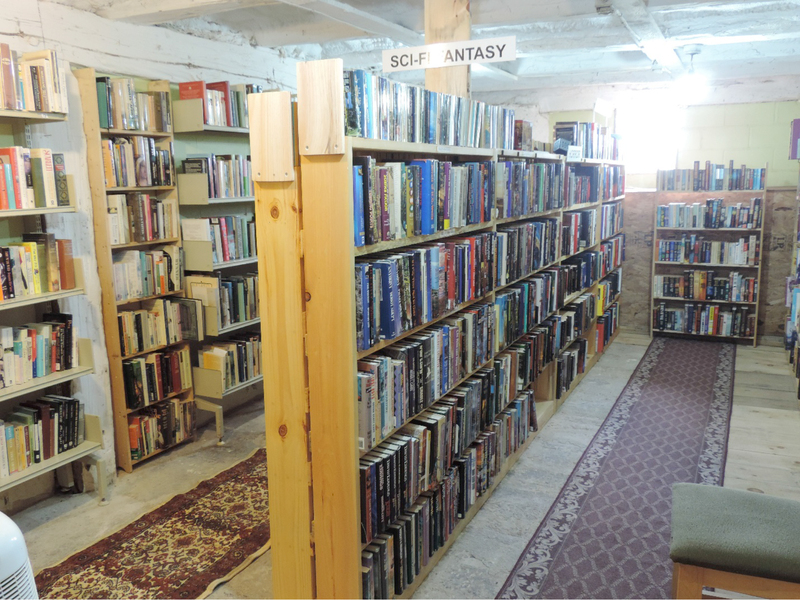 The bookstore and Bush Art can be found inside their neatly organized barn. After speaking with Brian, I found out that he makes his creations using recycled materials. 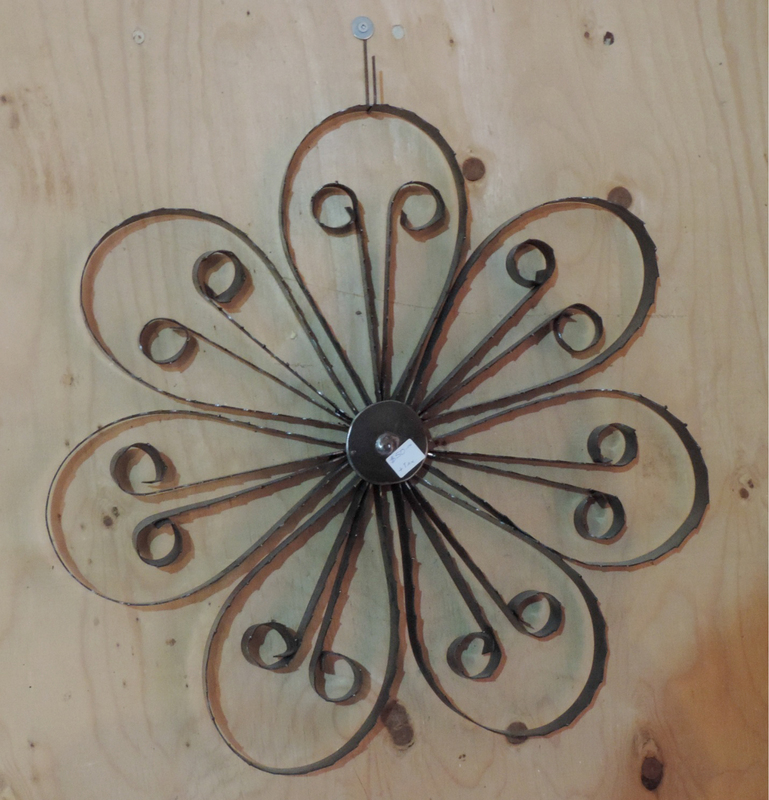 The flower you can see in the photo is made from recycled saw blades and he makes others using pieces from old oil tanks. The angel was my favourite piece and was made using materials found from nature, and a scrap metal halo. I also loved the Christmas trees. 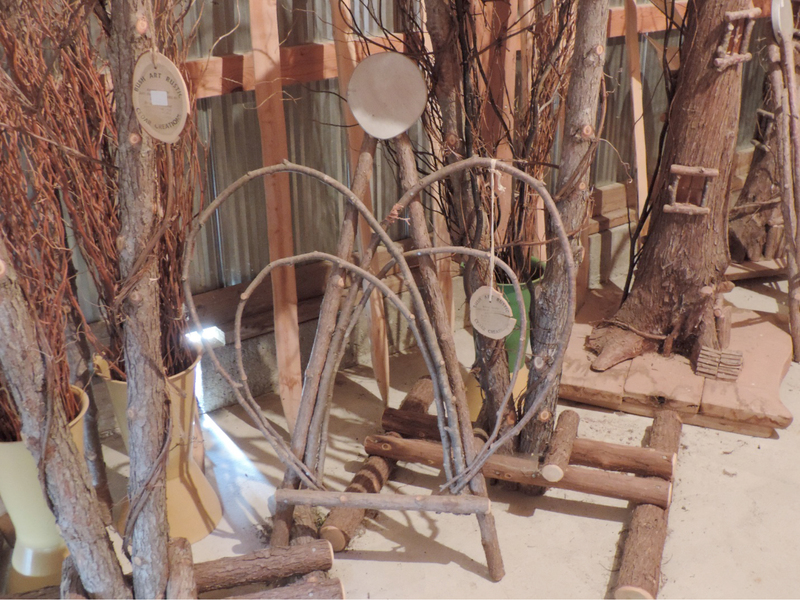 There were all kinds of pieces there ranging from outdoor garden and lawn décor, Christmas and winter decorations, benches and even a doll house (which was extremely detailed and must have taken forever). The prices were very reasonable and there was a variety of sizes in most of the pieces. It’s also locally made, so who doesn’t love that! Brian mentioned that his son had been running the bookstore portion of the business. He said he started it at the age of 13 and it just grew from there. His son now runs Condor Fine Books located in Kincardine, ON. As I mentioned previously, this barn on Norman Line has been named the largest bookstore in Huron County. They have a selection from all different genres; Religion and Spirituality, History, Cooking, Thriller, Romance and more. So, whether you need to spice up your outdoor décor, or make additions to your library, Bush Art is worth checking out!